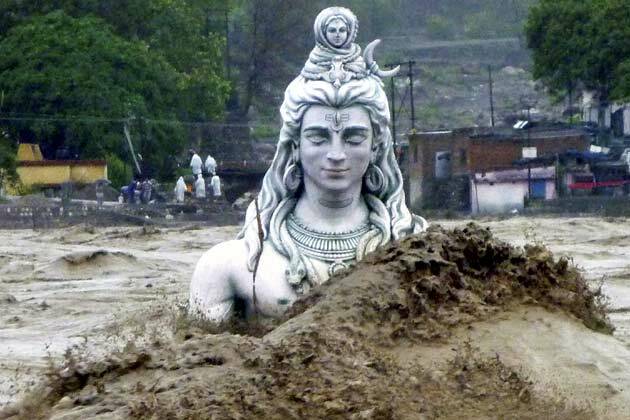 In the penultimate part of the Uttarkhand Floods series, Chandan Das wonders about why India can’t foresee a terror strike or a natural disaster! 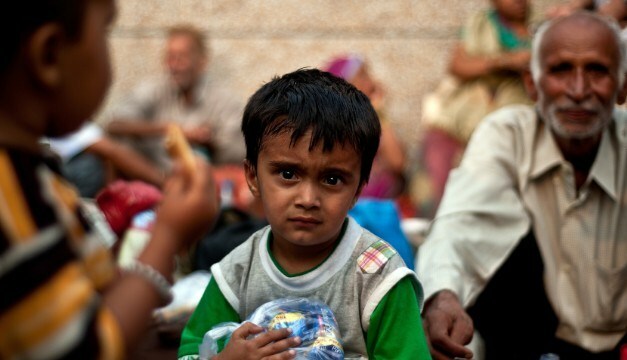 Why do Indians act only after lives are lost, and even after that, simply engage in blame-games instead of learning lessons? # Over 50 tourist buses queued up. Suddenly, stones started raining on the buses. Continuously for 12 hours. # Four-storey, 52-room hotel cave in in front of your eyes. # Before the disaster, the number of mules in Gaurikund was estimated to be 8,000. Now there is no word on how many animals have perished or the conditions of those that have survived. # 500 roads have been damaged and 200 bridges washed away makes the problem of rescue even bigger. Oh no, the Man didn’t dig his own grave, it was just the Nature’s “Fury”!! When will we learn our lessons? Last year, we Indians were ruing shortage of rainfall and this year, they have been rattled by a fast advancing monsoon. The way various north Indian states have been crippled by the onslaught of monsoon, especially Uttarakhand, it raises one pertinent question: Is Life in India so cheap ? Why is to so difficult to understand the basics of a security culture. Whether there is a terror strike or a natural disaster, it is only after blood is spilled and lives are lost that we decide to act. Just feeling proud of being a an emerging super-economy and the biggest democracy isn’t enough. We also need to get our basics right. But so ill-prepared are we to cope with the smallest deviation from the normal that lives are lost and property destroyed, year after year, even when the rainfall in this ecologically fragile region does not exceed the norm. But we aren’t helpless: we’ve failed because, though we’ve done our homework on how not to fail, we haven’t actually turned these lessons into practice. But it would leave behind a significant lesson that messing up with Himalaya’s eco-sensitive zone is just filled with dangers !! So was it just a nature’s fury or have we dug our own graves? This entry was posted in India, Real Issues, Uttarakhand, Uttarakhand Flood and tagged Chandan Das, Gaurikund, Himalaya, India, Natural disaster, Rain, States and territories of India, Uttarakhand, William Wordsworth on July 6, 2013 by missionsharingknowledge. Chandan Das connects the dots between the negative impact of human intervention in the Himalayan ecosystem and the wrath of Nature as we have seen in the form of Uttarakhand Floods! Never Tamper with the Nature!! All of us believe that the Holy Ganga is like a pious and pure Mother. Well, If the Ganges was personified as She has been throughout the Hindu tradition, these development projects have inflicted perverse murderous assaults on her body!! Nowadays, the flow of the Ganges shrinks during non-monsoon period. The dumping of muck on river bed is reducing the navigable depth. Shallow rivers are more volatile than the deeper ones. 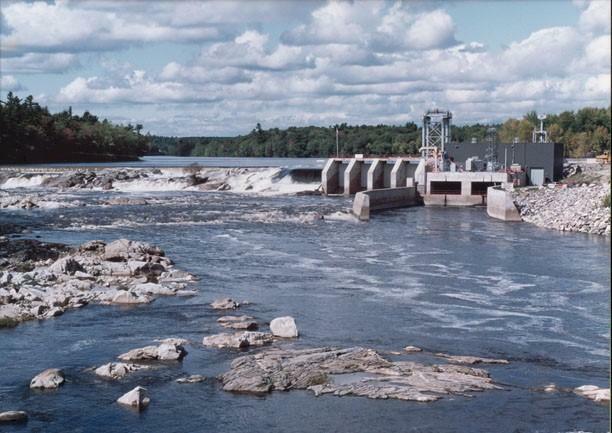 The dams release excess water leading to inundation. The rampant blasting of the mountains, diversion of river, redirecting the river through tunnels (call Run of the River) are factors which destabilise the fragile ecosystem of the Uttarakhand. Massive intervention in the Himalayan ecosystems through manipulation of rivers and their hydrology, is linked to what we are witnessing today. With many highways damaged, bridges washed away, electricity and phone networks down, several ravaged places continue to be marooned, expect the final tally to be horrifying. After all, the speediest monsoon in over 50 years has just dumped over 400% more than average rainfall over Uttarakhand. But with the state currently reeling from a disaster, the full impact of which is still unknown, Uttarakhand will have to face difficult questions over its choices and may have to rethink its priorities. As Uttarakhand grapples with one of the worst natural disasters the state has faced in recent years, questions are being raised on whether a lot of the destruction was man-made !! 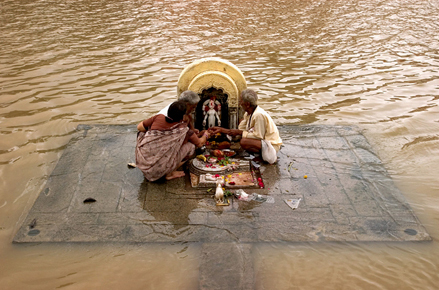 Today, India accounts for one-fifth of the deaths caused due to flooding across the world. Twenty-four out of the 35 States and Union Territories are vulnerable to disasters and over five percent of our landmass is vulnerable to floods. Annually, an average of about 18.6 million hectares of land area and 3.7 million hectares crop area are affected by flooding. This has led to a great amount of concern—but not a whole load of action. With Uttarakhand struggling to cope with one of the worst ecological disasters in recent memory, the final toll of fatalities may “run into thousands”. This makes the extent of the damage from landslides, cloudbursts and resulting flash floods truly apocalyptic and one of the biggest human tragedies and property losses in India in several years. As we watch the escalating devastation of lives, homes, livelihoods and public utilities, we shrug about how helpless we are before the wrath of Mother Nature. The bottom line is that in a region that has more reason than most for disaster preparedness, both local and central arms of the government have been greatly wanting. Personnel of the Army, Border Roads Organisation and Indo-Tibetan Border Police are trying their best. But a couple of dozen helicopters flying a few hundred sorties a day to rescue a region full of distressed citizens is emblematic of millennial India’s broken promises. This entry was posted in India, Real Issues, Uttarakhand, Uttarakhand Flood and tagged Border Roads Organisation, Chandan Das, Ganges, Himalaya, India, Indo-Tibetan Border Police, Mother Nature, Uttarakhand, William Wordsworth on July 3, 2013 by missionsharingknowledge. Chandan Das delves into the fact that in an agricultural economy where early monsoons should come as a pleasant surprise, catches us unprepared — despite all the warnings! Development?? Uttarakhand is a DECADE back now!! Till early 1980s, there were just a few hutments at the base of Kedarnath. The developments around the Kedarnath shrine may not be considered ‘urban’, but they have typically urban characteristics: density, haphazard construction with lightweight materials and large paved areas. In its Guidelines for Management of Urban Flooding, 2010, the NDMA observes that “urbanisation leads to developed catchments, which increases the flood peaks from 1.8 to 8 times and flood volumes by up to 6 times.” While official estimates say forest cover has increased in the Himalayas, a number of credible independent studies have found significant discrepancies in this claim. The fact is that forests have been diverted for a host of land use activities, such as agriculture, human settlements and urbanisation. Indiscriminate development in the hill towns, mushrooming guest houses, hotels and all manners of illegal encroachment taking place along the rivers, it was just a disaster waiting to happen !! So was it just a nature’s fury or have we dug our own graves ? Yeah, it is true that the monsoon rains arrived unexpectedly early, and the precipitation was four times the normal in a space of a very few days. The latter aspect would have made relief and rescue difficult, and there might have been a big toll of life and property in any case. A surprise early monsoon should be welcome news for much of the subcontinent, whose mainly agricultural economy is dependent on the rains, but not if it catches us unprepared — despite all the warnings! The “argument” is that a low pressure system over Chhattisgarh interacted with a wes­tern disturbance to bring unprecede­n­ted rainfall almost a fortnight to a month early (c’mon guys give me a break!!). The fact remains that each year rains have the same catastrophic effect on many urban centers mainly because our civic infrastructure is incapable of handling the first downpour, let alone what follows . Not that our major metropolises were much better prepared: we could see what flooding did to life in Mumbai or to Delhi airport’s swanky T3 terminal!! But the point is why the www.imd.gov.in could not see it coming? Why don’t we have credible weather stations? What responsibility and accountability the Central Water Commission, the State Disaster Department & the Ministry of Environment and Forest have? I am not even too sure that the Indian Meteorological Department had given any warning of the impending disaster and, if so, whether the warnings were given in time for the civil administration to alert people and take steps to minimise the damage. Today, the Met office is passing the buck by saying the state government had been warned about torrential rains on Friday night. Even if local administration had understood the implications of meteorological data, it didn’t have much time to put out effective warnings across a state where 65% of the area is under forests. Wanna hear a joke? The met office, with its weather satellites and multiple equipment upgrades, hasn’t been able to demonstrate any measurable improvement in its predictions over the years!! This entry was posted in India, Real Issues, Uttarakhand, Uttarakhand Flood and tagged Chandan Das, Delhi, Friday, Himalaya, India Meteorological Department, Kedarnath, Mumbai, Uttarakhand, William Wordsworth on July 2, 2013 by missionsharingknowledge. In the fifth part of the series, Chandan Das explores the farce behind the flood control measures, which eventually led to this large scale disaster! The National Flood Control Programme was launched in 1954. After the 1970s – a decade that saw the worst floods – this spending gradually declined to a low of 5.5 percent in the decade between 2000-2010.The rupees not spent on flood control have meant gigantic national losses! In 1976, the Government of India set up the National Flood Commission (Rashtriya Barh Ayog) “to evolve a coordinated, integrated and scientific approach to the flood control problems in the country and to draw out a national plan fixing priorities for implementation in the future.” That a large number of agencies in our country are still mentioning the Barh Ayog’s data in their diagnostic statements is an ominous reminder that our level of preparedness is somewhat low! 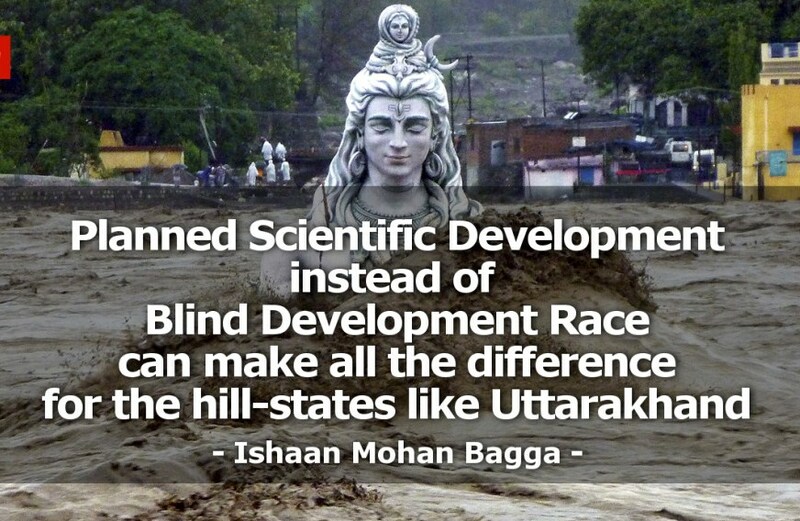 According to the annual report of Ganga Flood Control Commission (2010-11), Uttarakhand was allocated a budget of Rs 280 crore, but ironically, the flood management plans ignored the issues of deforestation and environmental devastation! This entry was posted in India, Real Issues, Uttarakhand, Uttarakhand Flood and tagged Central Government, Chandan Das, Flood, Himachal Pradesh, India, Rupee, Uttarakhand, William Wordsworth on July 1, 2013 by missionsharingknowledge. Crazy limbs bound in harem pants and loose shirt, flying in all direction, eyes brimmed with tears, cold breeze slapping on cheeks to wake me up…but I was lost. I was lost with the crowd underneath tri- color canopy next to Ganga Ghat. While we were busy releasing our caged inner soul from turmoil’s of hunger and quenches of daily life there was somebody enjoying show stealthily. When our limbs were moving up, down, right and left in chorus, she was lying lazily, stretched and basking under sun. Her charismatic beauty was scintillating with sun reflection and embellished with diamond stars. Her rattling noise against pebbles was like peals of laughter. She was laughing on our complexity and eagerness to evolve and be like her. Dark clouds on India have only one sadistic tale to narrate. It is unfortunate to see believers of Ganga against her and accusing her to take away lives of their beloved ones. Ganga known to spread happiness, prosperity and divinity is sprawling catastrophically on humanity. Certainly, something has gone wrong with her. Two months back when I met her she wasn’t like this, she was calm and serene. I have seen long queue of believers, embracing her with holy bath. 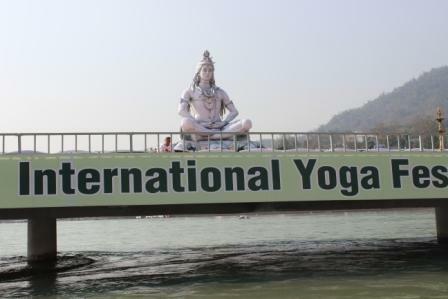 Two months back, I met Ganga at Ganga Ghat at International Yoga Festival (IYF) in Rishikesh. IYF was perfect excuse for me to live by myself for seven days, do what I am passionate about – Yoga. Away from hustle bustle of life, with hundreds of Yogi from different nations, performing different styles of Yoga and learning about eternal peace. Those seven days were slow as each moment was enjoyed fullest. I was away from family, friends and gadgets with social network. I had nothing to tweet or share on face book but to evolve myself as a Yogi. Unexpectedly, in those seven days I became very close to one, I didn’t understand her language, she was different from others. It was due to her presence I never felt to ink my experience in diary. After morning sessions when everybody dismissed for shower, I rushed in my flip flops, yoga mat pressed between arm pits and clothes drenched in sweat to Ganga Ghat. Spending time in solitude with her was intoxicating. When she was around my fully loaded heart with emotions, flashback stories and gossips was lighter. On last day, I didn’t meet her as could not muster guts to say her ‘Bye’. I had no choice to be like her; unrestrained and self ruling Ganga. I am alive and caged happily in my same routine. This entry was posted in India, Uttarakhand, Uttarakhand Flood and tagged Ganga, Ganges, India, International Yoga Festival, Religion and Spirituality, Rishikesh, Shivani Gupta, Yoga, Yogi on June 28, 2013 by missionsharingknowledge. Chandan Das wonders about the reason due to which we were not able to take requisite action despite Nature giving us timely warnings, in the fourth part of the Uttarakhand Floods series. 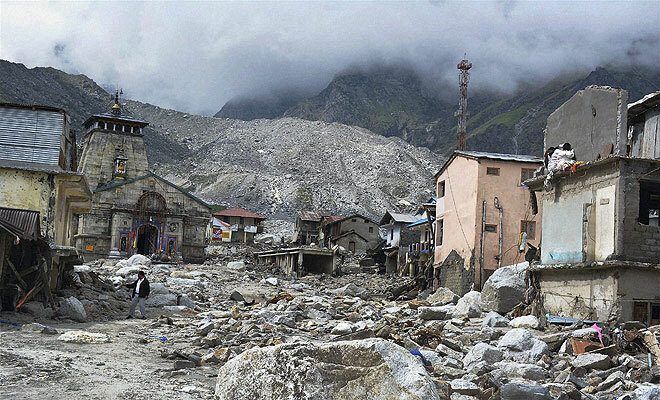 UTTARAKHAND is PRONE to Natural Disasters: So what? Ok I agree to the fact that the very nature of topographical, geological, geomorphological and seismic situation in Uttarakhand makes it prone to large kinds of disasters. It is part of young Himalayan mountain, prone to landslides, erosion and flash floods. And this is not something new. Similar disasters have been found in other countries like China, Italy & USA and even in UTTARAKHAND, the Asiganga hydropower project had played a key role in the Uttarkashi disaster a couple of years ago. 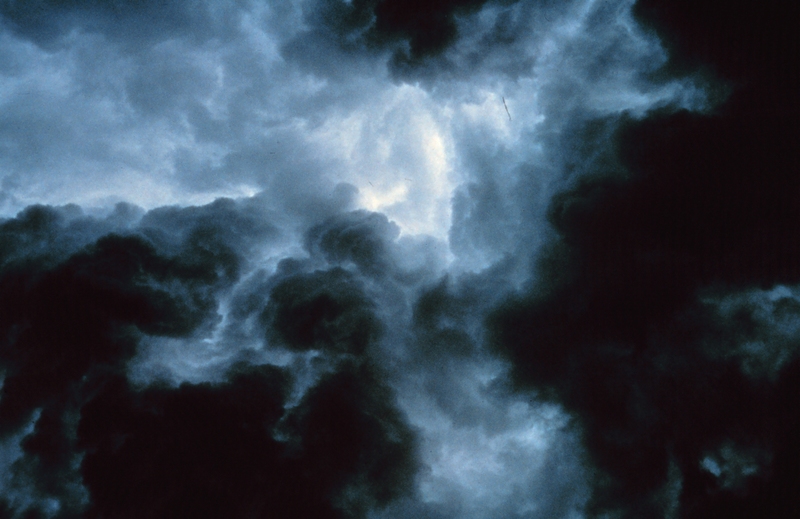 I mean you cannot avert a cloudburst, but you can certainly reduce the damage! Not that Mother Nature did not give any timely warnings. Through the years, since the 1991 Uttarkashi earthquake that left nearly 2,000 dead and thousands without shelter in the Himalayan state, there have been several warnings, such as abnormal rise in temperature, reoccurring landslides, cloud bursts and flash floods in vast regions of Tehri, Pauri, Chamoli, Uttarkashi and Almora. The headlines three years ago were similar: ‘flash floods leave North India in deep trouble’ and ‘flood, rain, wreak havoc in North India’. The monsoon of 2010 brought with it such massive losses of lives, property, crops and infrastructure that the state said its development clock had been set back by a decade!! 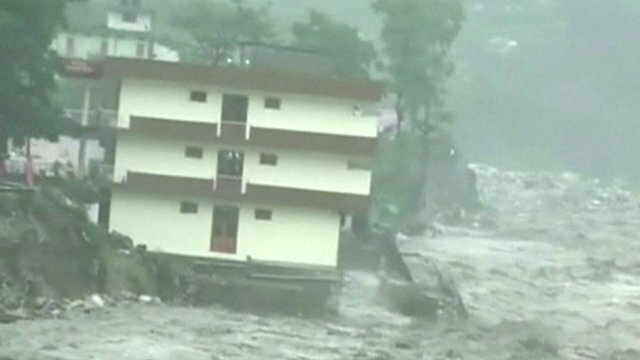 In August 2012, buildings were washed away by Uttarkashi flash floods. Immediately after that, the Uttarakhand government report actually asked for a legislation and its strict implementation to ensure that no construction, including roads are allowed next to the river. As per official records, 233 villages were marked disaster-prone and could face Uttarkashi-like situation any moment. Sadly, two months later, a cloudburst in Rudraprayag had claimed 69 lives (the very same place where the Disaster started). It may be some consolation that nature’s fury is not well handled even by some of the most advanced industrial societies, as demonstrated by Hurricane Sandy in New York last year and Katrina earlier. But we should at least try and be prepared by rechecking urban water draining infrastructure lest we suffer due to the monsoon that is in fact our saviour. But nobody, barring a handful of environmentalists, ecologists and local people, paid heed to the warnings. A place that is prone to disasters because of fast-occurring climate change should be guarded with utmost sensitivity towards ecology and environment, but the administration closed its eyes to all illegal constructions!! This entry was posted in India, Uttarakhand, Uttarakhand Flood and tagged Chandan Das, Flash flood, Flood, Himalaya, Mother Nature, North India, Uttarakhand, Uttarkashi, William Wordsworth on June 28, 2013 by missionsharingknowledge. 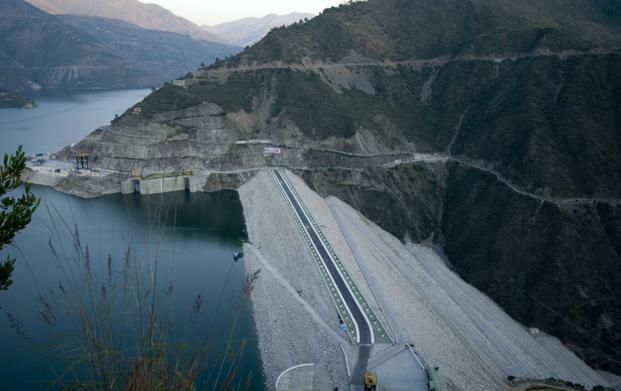 In the third part of the Uttarakhand Flood series, Chandan Das discusses how hydel projects have been undertaken without assessing the environmental impact. HYDEL ENERGY PROJECTS: “Energy” Wasted!! Remember how the Ganga warriors had claimed earlier that the Central government was not serious about keeping its assurance for stopping the work on hydroelectric projects on Alaknanda and Mandakini, the two main tributaries of the Ganga? Around 220 hydroelectric projects on the Mandakini and the Alaknanda have been sanctioned!! 200?? Two 20km tunnels are being built to divert these rivers for hydel projects and constant blasting of the river banks has affected the local ecology. 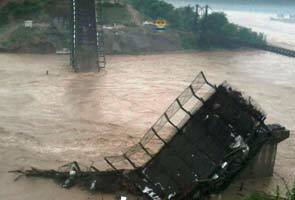 Interestingly, they meet at Rudraprayag, the epicenter of today’s devastation. These projects have been allowed without cumulative environment impact assessment on the region. With these projects come hotels, residential and commercial buildings and roads. This piecemeal approach has just raised the spectre of the gold rush. Scientific studies indicate that at the current rates of deforestation, the total forest cover in the Indian Himalaya will be reduced from 84.9 % (of the value in 1970) in 2000 to no more than 52.8 % in 2100. Dense forest areas, on which many forest taxa critically depend, would decline from 75.4% of the total forest area in 2000 to just 34 % in 2100, which is estimated to result in the extinction of 23.6 % of taxa restricted to the dense Himalayan forests. I mean it’s like creating a ticking time bomb as the construction involved large-scale deforestation. Today, the green cover on the hills that checks and absorbs the flow of water has been eroded in the name of hydel energy. And all these hydel projects have been undertaken without assessing their impact on environment, hence the huge devastation. Because when you remove trees, blast rocks and exert unscientific anthropogenic pressure, it’s imperative that the nature will play havoc!! This entry was posted in India, Real Issues, Uttarakhand, Uttarakhand Flood and tagged Alaknanda River, Chandan Das, Ganges, Himalaya, Hydroelectricity, Mandakini, RudraPrayag, Uttarakhand, William Wordsworth on June 27, 2013 by missionsharingknowledge.